No beans about it, these boots were made for cold, wet conditions. Built to last season after season with a full-grain leather upper and waterproof, hand-laid rubber bottom. FULL-GRAIN, OILED LEATHER UPPER. This water-resistant upper is made from a distressed, oiled full-grain leather. NATURAL RUBBER BOTTOM. Built with our hand-laid premium, natural rubber for 100% waterproof protection. Extra durable, vulcanized construction ensures the outsole will never split from the upper. ROPE CLEATED OUTSOLE. 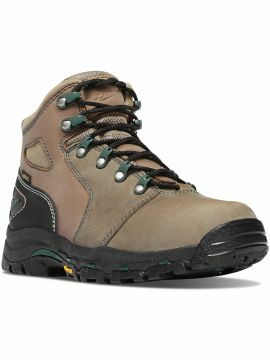 Slip-resistant, self-cleaning rubber Rope Cleated outsole.